Class is still in session at Tokeneke and Holmes elementary schools for some students, even after the last bus has pulled away. After-school classes are not out of the ordinary in Darien and are available at all the elementary schools in some form or other, but two moms have made them more streamlined with Darien After School. Hayley Marcous and Liane Zielinski formed Darien After School -- a company that provides classes before and after school -- in time for the start of the 2013-14 school year. Prior to the creation of Darien After School, classes were not all in alignment. The parent-teacher organizations for both schools initially ran the after-school programs, but Zielinski said for various reasons, the PTOs relinquished that duty. As a result, volunteers for Extras, the former after-school program, stepped in to fill the void. However, the volunteers would hire third parties to come in to teach the programs, but that had its problems. There was no insurance -- except for the instructors, who had their own -- and parents were making out checks to the different instructors. Additionally, the volunteers running the programs could not hire teachers who were interested in participating after school. "It was difficult to manage, with parents and volunteers who were wanting more." Zielinski said. 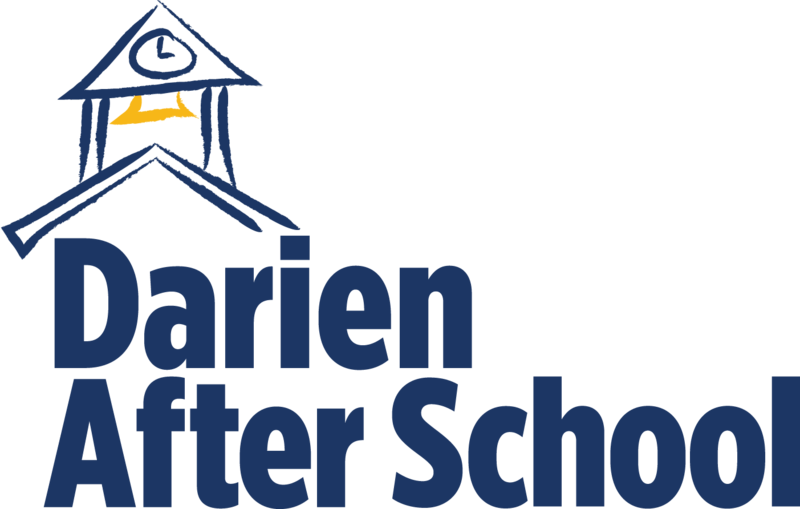 Darien After School provides one central location for the hiring and scheduling of teachers for classes, as well as insurance. "The teachers love it because they get to teach what they're passionate about and may not be able to teach in the classrooms," Zielinski said. "And the kids love it because they're familiar with the teachers. It's really a win-win for everybody." Darien After School recently put Royle Elementary School under its umbrella and will have classes available in the fall. On any given afternoon, there are a variety of classes, including music and theater, chess, art, cheerleading, yoga, Bokwa -- a new fitness class, karate and sports. In the Sports Spectacular class, Zielinski said, the instructor usually asks the students what they want to do on that given day. "And nine times out of 10, the answer is dodgeball," Zielinski said. The after-school classes allow for the students to be exposed to different subjects and topics they may not have during the school day and provide a chance for them to have fun with their friends. "I don't think we realize that school is stressful," Zielinski said. "It's a busy and jam-packed day, and for (the students) to be able to come and run around the gym with their friends and just play in a supervised safe environment, you can't beat that." Zielinski said one of the outcomes of Darien After School of which she is most proud is the revival of a musical, "Aladdin," at Holmes Elementary School. "It was very low-key, it's not Broadway material or anything like that," Zielinski said. "But the kids were really sweet and so excited about it." Following the play, Laura Baum reached out to Marcous to thank her for allowing her daughter, Molly, to take part. "Molly had so much fun being a part of this program," Baum wrote. "The best part was seeing all of their happy faces, and having fun with it. I am so impressed they could all get up there and be so at ease." Baum added that her daughter couldn't wait for the next musical and that she wasn't nervous before the production, just excited. "It was so nice because it really created this sense of community, and it was fantastic to see 100 parents sitting in the common room watching the production," Zielinski said. "It was great, and we're going to do it again." Marcous said the new company also allowed organizations, such as the Darien Nature Center,Darien Arts Center and Teach, Grow, Achieve Golf, to reach students in the schools where they may not have been able to before. TGA Golf provides golf enrichment to children in Fairfield County. "We have the resources now to do it," Marcous said. "Other organizations are learning about us and reaching out to us. It's opened a whole bag of opportunities that really wasn't there before." Zielinksi said parents are happy that the nature center has the ability to offer classes because the caliber of the nature center is now available to the students, without the parents having to drive them there. The classes take place for an hour immediately after or before school. "We are conscious and trying to offer a class for every day and that there's something for boys and something for girls," Marcous said. "It's a total puzzle." Nearly 300 students take part in Darien After School. The class offerings vary between the two schools, as Marcous and Zielinski found that some classes may be popular at one school, but not another. "The individual personalities of the schools will always play a part," Marcous said. Each class is offered for an eight- to 12-week session. Classes cost between $100 and $200. At each school on each day, there are two to four classes available. For more information, visit www.darienafterschool.com.